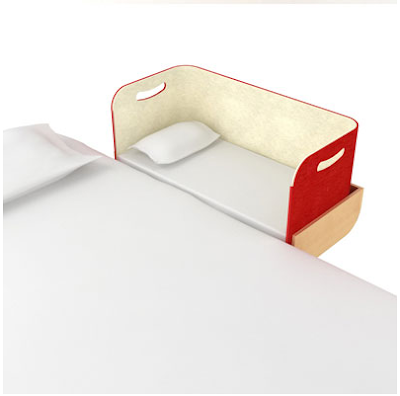 I am not sure if this has made the rounds on blogs but I thought this was one of the most well designed co-sleepers I have ever seen. It's so simple and looks so easy to use, when we had our kids they were so bulky and impossible to open it for our first son that we then got rid of it for fear of trying to open it again. In my honest opinion, having experienced both with and without a co-sleeper, this is a pretty un-necessary item, if your kids are in your bed with you why not just have them in the bed? 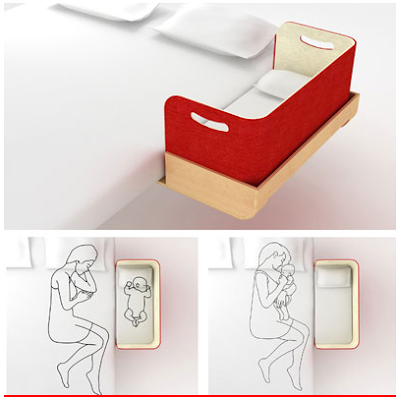 But if you or your partner are heavy sleepers this is just the answer. Just as I always say not to use a diaper bag (just buy the most chic bag that you have always wanted... now is your excuse! ), I would say that these things are a little over-rated. BUT I would suggest to get yourself a king size bed! 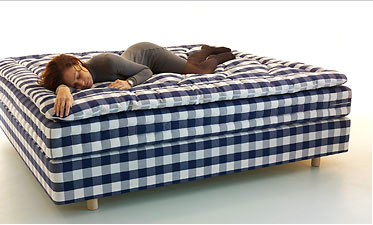 You will ALWAYS appreciate this... and I would also suggest a Hästens bed, they are totally natural, hand made and they have even developed their own fire retardant system (this is what really makes most beds horrible). 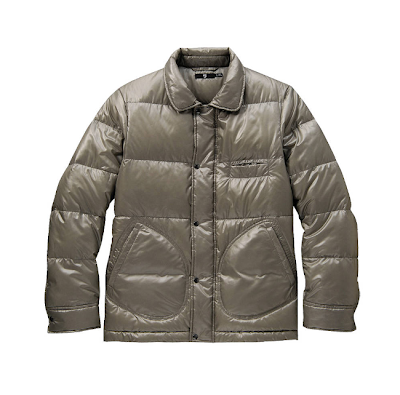 The Hästens fire retardant is based on salt! I love that! ...okay, yes they are expensive but as they say you spend 1/3 of your life in bed, why not make it the best night sleep ever! Whatever you choose just sleep well... it's important, you will get so little of it with kids that you will cherish every second! 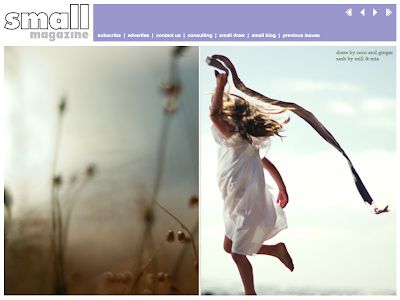 The new small magazine 2010 issue is out today and it looks fantastic! 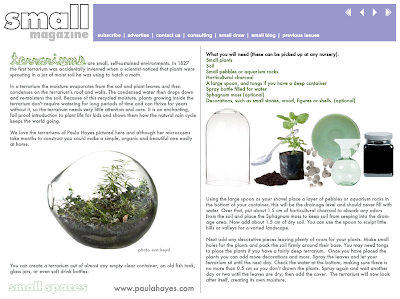 I hope that it inspires you with activities (like this terrarium below) and lot's of other things! 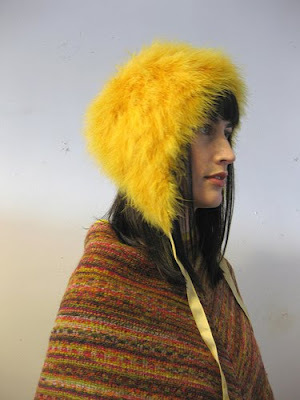 Lutz & Patmos Fall 2010 - beautiful! The new FW 2010 collection on Lutz & Patmos was shown during fashion week with a presentation that dazzled everyone! I always love the collection but this particular one hit me right between the eyes, just about every piece belongs in my wardrobe! Thank you Tina and Marcia! 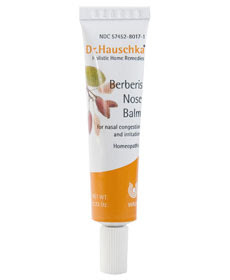 Further to this I found Dr. Hauschka Berberis Nose Balm. This is a life-saver product! It's great for travel to soothe your nostrils and it also acts as an astringent due to the Berberis. If I even have the slightest feeling that a cold is coming on I use the creme at night and I feel better by the morning. The whole family uses it... it's hilarious watching the kids put it in their noses! But believe me it works! and it's gentle enough that you can use it every day if you like the feeling. You can buy it at the Dr. Hauschka website by clicking here. Good Luck and share your healing tips for this winter with us!! Make a comment and I would love to hear what you have to say! New York fashion week is one week past, but the smaller show that I go to was just last weekend, Designers & Agents. I am not always able to make the show but we have a special guest at our home this week (Nana) and so I had a bit of freedom! Sneeking away to New York just for the night is one of my favorite "inspirations" and yes, I hit the same-old haunts that were on my NYC tour a few posts ago... all of them delicious and inspiring (I will use this word a lot in this post). For one thing, I realized that when I wrote about my NYC tour I totally forgot to write about A Détacher... truly a favorite and I suppose I practically worship the store and her collection. 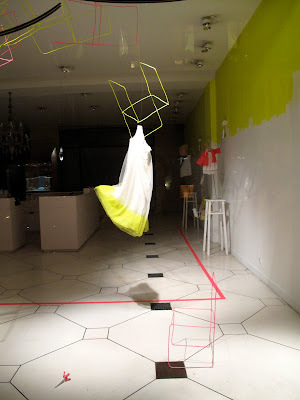 I honestly don't think I would have even desired to open a store, and then I walked into A Détacher, it is the store and clothing collection of Mona Kowalska. It's not open all the time (we have something in common there) so you have to catch her at the right time, but honestly just peering in the window you can fill your desire for the day (or month!). On my visit this weekend I was inspired by everything! Thank you Mona! (she actually sold my necklaces at one time, after I sold them to her I walked out with the biggest smile on my face... content for the longest time that I had made something beautiful if Mona liked it! ...and I quickly called all my friends and bragged to them!). Inspiration #1 - A Détacher! 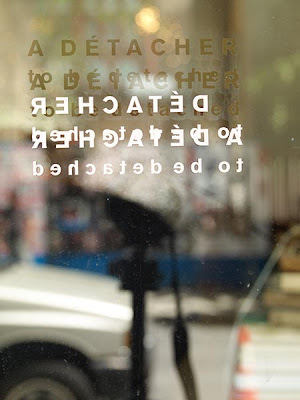 (means: to be detached) 262 Mott St. (Nolita) You can click here to watch her Fall 2010 fashion show! WOW! I also met with my friend Carmen Keck, who will design sweaters for my Nonchalant Kids collection Fall/Winter 2010 (I'm so excited) she worked with me before to make the 1969 vests which I love! And I am so happy that she will work with me again. NYC can be so perfect, it was warm and sunny, I walked everywhere and dined at Dressler in Brooklyn with my friend Claire Shegog, who is an expert wallpaper hanger (who loves her work and is crazy about wallpaper!). Claire painted our home in Rhode Island inside and out, so she lived with us for quite awhile and I love her! (and her painting skills happen to be high on my love-list as well!). It couldn't have been a better trip! I convinced my friend Gunn to start a blog, she has just a few posts so far but I really like what she is writing.. is this because she is one of my best friends!? yes and no.. I think it's because I like the way that she writes and I ALWAYS like to hear what is going on with her and what she has to say. You will find that we have a few tips in common as I have learned most of my macrobiotics from her when I lived in Italy and worked with her for quite a few years! Gunn has a store in Biella, Italy -- which she won't let me write about until her store goes online, it's a continuous work in progress but I have high hopes to see it very soon (click here for the 'coming soon' page) -- which she appropriately calls Un Momento Nordico, an Italian name for a Swedish mentality, which is what she will be bringing to you in a fascinatingly beautiful way.. you just wait! Oh, and did I mention she lives in the mountains of Italy in a crazily rustic home that is continually changing as she evolves... I tell you it's hard to keep up with her, I know!! Whenever I have a moment that I want to relax I wonder if Gunn would ever be relaxing and then I realize... NO! ... get to work! We started the trip at "my hotel" which after very careful consideration a wonderful place popped up called Postcard Inn that I was perfectly excited about and only about an hour away from Disney World. It is in a wonderful place called "St. Pete Beach" on the Gulf side of Florida. We gathered during our stay that St. Pete was a place for wintering people living in colder climates... whatever, we really enjoyed this little laid-back community. It was made better for us by Postcard Inn, a sweet little boutique hotel (without the 'boutique' pretension) that feels small because everyone at the place was really nice and accommodating, great with our kids, and at the same time just let us be... (love that!) I like a vacation spot that works for the whole family, where you meet people at the resort (in this case an Inn) and you like hanging out with them! We met a family with five kids and they worked perfectly with our two kids, running around, ping pong, pool, hide and go seek... just those simple things! When I go somewhere with the family OR by myself I usually end up doing quite a bit of research to make sure that we are going to be comfortable, I can't really tell you what the 'key' is but I can just tell when it's a good amount of laid back together with a nice 'look', it's my kinda thing. I really loved the look of this place and when we got there it was perfectly comfortable. After asking around a bit I found out that the place is run by a collaboration with Starwood and B.R. Guest Restaurant and seems to be the brain child of Stephen Hanson, he was interested less in creating a 'boutique hotel' and more of an affordable, comfortable place for a family or couples alike and I think he achieved it. 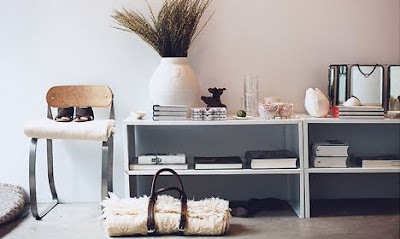 I asked who was in charge of the interiors, because I loved that they used local flea market finds to cozy-up the place and together with some really creative styling the place is really inspiring! St. Pete Beach was a great place to walk on the beach, watch surfers, and really relax and we made it to their local flea market ourselves and found some very special treasures! And the local Barbeque pit was hauled out for the market and offered a delicious lunch! The stretch of road that runs along the island is lined with 50's style buildings with laundromat's, convenience stores and beach-y shops, nothing nothing to inhibit your relaxing vacation. Next stop... Disney World, where we stayed at a giant resort ("dad's hotel"), with a water slide, multiple restaurants and about 20 floors! 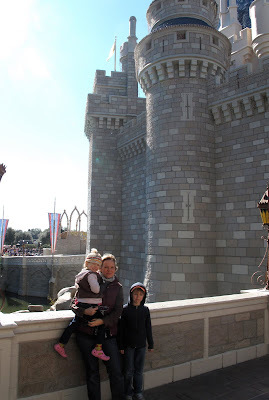 It was another world... and we had fun, don't get me wrong, but the personality was gone and we were in Disney World! I recently came upon a website that may be just what you are looking for, two moms started a website called ECHOage, which is a service that will help you throw your childs birthday party in a socially conscious way! Teaching your kids to give back while they are receiving (and what kid couldn't use that lesson!). Here's how it works: Instead of bringing wrapped and packaged presents, guests simply rsvp and make secure online contributions that are pooled together. Half goes to purchase ONE memorable gift for the child and half is donated to ONE meaningful cause of the child's choice. ECHOage arranges everything, so no need for guests to drive, shop, wrap or even pick up the phone to make a donation. I like that the Charities involved include EarthCorps, Nourish America, or Girls Inc., etc, etc. I think that some people struggle with sending contributions away when there is a need for it here at home, ECHOage offers a large group of ideas for contributing that makes it very easy for you and your child to decide who to help. They take care of everything for you, the invite, the rsvp the save the date, the reminder (if you want one) etc... so all you have to worry about is throwing the party! It's all very easy and they will tell you upfront that they take 15% of the fees for their service, they don't do any advertising or sharing of information so this is strictly their fee for running the business. I can't imagine going to Paris and not stopping into Hervé Chapelier - always colorful (or the perfect non-colors as well! grey, white and brown), I fell in love with their pink! perfectly bright and warm. 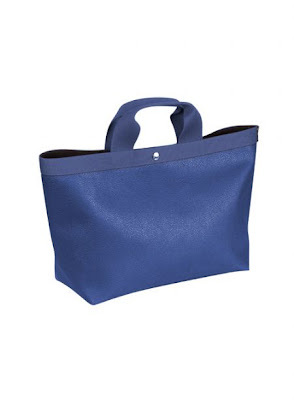 My favorite bag is the handbag made of grain coated canvas, they are perfectly indestructible! And this blue one... amazing! Not the latest fashion and not exactly trendy, just practical and I love that! Unfortunately, they do not have a store here in the USA but you can shop them directly online here... or the next person to go to Paris, just slip a photo in their pockets (and some green!). - Base notes: Pine, Oak and Crab Apple. 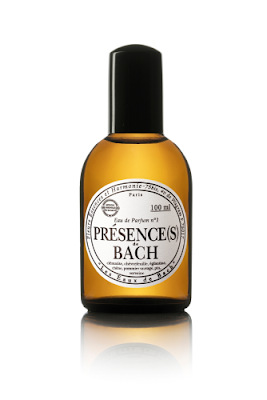 The uplifting, fresh and relaxing scent of Présence(s) de Bach promotes feelings of inner reconciliation and improved communication with those around you. You will enjoy a renewed and positive outlook on your environment, leading to calm and inner peace. There are two scents: Présences de Bach or Vivacité de Bach - and I can hardly wait to put it on each morning! You can buy them here from England.. In preparation for the trip I knew I had to have perfectly chic walking shoes, especially since my friend Gunn said "let's just WALK everwhere" and that we did! 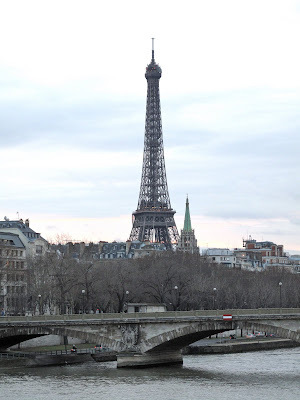 I am not a heels kind of lady, but I promise you that everyone else in Paris is!! How do they do that!? 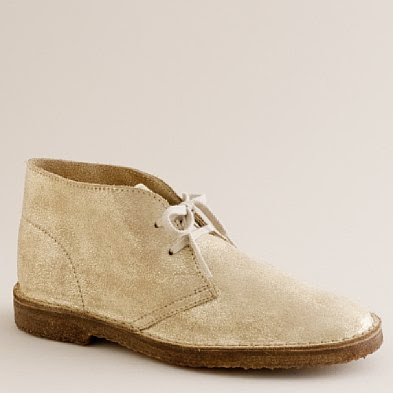 They all look so chic and here I am in desert boots... but they just happen to be gold! this helps! (I think?) from J Crew.. what can I say, I'm a 'Crew-ite'. Other than these items I brought back croissants for the family (just a bit smashed), a few things for the kids (wait for it all in my new magazine! ), and an amazing circulation remedy that I wish was available here. More than hours spent at Céline we spent hours at the local health food store! Reading labels, looking at graphics and talking to the shop-girls and getting tips! So much more fun! And oh, not to forget the FOOD... that will come... just you wait!! What!? leave it to me to grab onto this idea when I saw it on the Seventh Generation blog, validation!..I thought, to something I am sure that all of us have felt each time we are cleaning! Apparently a person who weighs 145 pounds will burn 165 calories while vacuuming for one hour -- excellent! Although my house is too small to vacuum for an hour I can certainly figure out how to make that work. Recently I have found the 'dusting' attachments for my vacuum cleaner and life has become much less dusty in our home and honestly it's kind of fun! (did I really say that....). So it goes a bit like this... find your favorite music, turn it on really loud and then take on a bit of dancing while cleaning! I love it and it makes it all so much more fun. I have used this technique when getting the kids to help and they love it! Personally I would prefer being alone... putting on a chanting CD (Krishna Das), really LOUD, and chant my way though chores! To get a bit of a better work out while cleaning, strap weights to your ankles or wear a weight vest--this is sounding a bit like torture but I like the idea! More ideas -- make sure that you switch hands so you don't end up lopsided in your 'workout' and really think about using your abdominal muscles (if you can remember how to use them... especially post-baby!) this will also save your back. So have some fun, turn up the music! 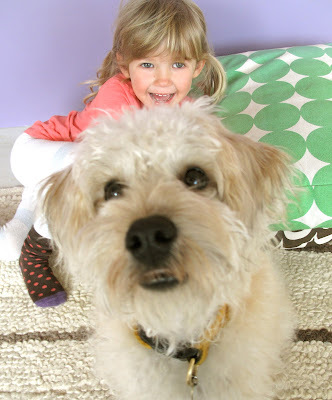 I am so excited to introduce our new guest blogger to you! She is a very old friend from High School... Now I am not one of those people that attends my reunions so it was serendipity that I came upon my old friend Jennie and her wonderful blog! and I happened to find her just as she was embarking on 'meatless mondays' which I have to admit I have never heard about but I love the idea! I have asked Jennie to join Nonchalant Mom because for one thing, I LOVE the way she writes and secondly I also happen to like what she writes about. I am certain that you will enjoy her posts as we learn more about 'meatless mondays' and also about gardening when the time comes (I thought it would be nice to have a person who actually knows what they are doing rather than my hap-hazard gardening). I am going to leave you to it and let you warm up to Jennie, organic-ly, as you read her posts! So please welcome Jennie Menke! I am a very old and, I guess you could say, long lost, friend of nonchalantmom’s. After many years apart, I was thrilled to get a note asking if I was interested in guest blogging here. Not just because nonchalantmom is one of the coolest people I have ever known, but because I love to write. In fact, that’s how we met up again -- through my own blog -- which is a conglomeration of cooking, gardening and general blathering. To be honest, though, I have no clue how to start this. Do I introduce myself to you in my normal, long-winded fashion? Do I tell crazy stories about nonchalantmom’s sordid past? Do I pretend I’ve been doing this for ages and that I’m not intimidated at all? I’m guessing, no, no, and, no. My kids are fifteen(!) and thirteen. I’d like to think I’m a nonchalant-type of mom. But the reality is that you’d probably have to classify me as a manipulative, screaming, psychotic-type of mom. Oh sure, I’m nonchalant on some levels. ...Just not on the levels I want to be. I suppose you should also know that I’m egotistical and highly sarcastic. And, most of what I write is in jest. So please don’t take anything too seriously. 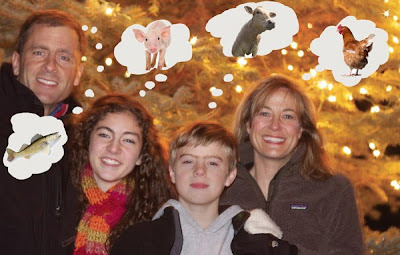 One of the things that we thought you might be interested in was my decision to participate (as a family) in the Meatless Monday movement as a New Year’s Resolution. I should probably admit that it was more of an autocratic decree on my part than a family decision, but a noble one, don’t you think? I figured it would be an adventure. We’d learn new ways to cook and eat; exploring new foods and cultures! We’d save the planet! It would be great! When in reality, it’s been more of a highly stressful, mad-dash scramble at the last minute every Monday. More of a comic event than anything. Should I mention that, as I write this, it is 4:16 Monday afternoon and I still haven’t decided what we are having for Meatless Monday tonight? It’s true. I am also a procrastinator. The first Meatless Monday was a disaster. Probably one of the single worst meals I have cooked in my entire life. Even though Monday comes every seven days and it should be no surprise, the first Meatless Monday of the year seemed to come out of nowhere. I was utterly unprepared. I don’t know what I was thinking. It made for a great self-effacing blog post, but that’s about it. Well, come to think of it, the penne tubes swimming in the pureed carrot were a great way to hide dog pills. But to say more in its defense would be wrong. It was truly horrible. Of course, everyone but me has probably been eating Indian for years. But I’m from Minnesota. Still live in Minnesota. And I it gets worse. I live 40 miles from the cities. In Minnesota, that means you are in farm country. Indian food is not an option unless you make it yourself. Which, happily, I finally did. I cannot begin to express the transformation that occurred when we finally sat down to this Meatless Monday meal. No one knew what to expect. Would we like it? At least I had chosen to make fresh Naan bread, so I knew wouldn’t go hungry. But really, how bad could it be? It wasn’t bad. It wasn’t good. It was GREAT. It was the best meal we had eaten in recent memory, including those with meat. And it was vegetarian. It felt like a real meal. I guess I have now exposed myself as a true meat lover. But maybe that’s just a habit. Maybe I only think we need meat to make it feel like a meal. Maybe if I could find more recipes like the Indian ones, we would eat end up eating less and less meat as time goes by. Not because of a New Year’s Resolution, but because it tastes good. I have friends who tell me to just make tomato soup and grilled cheese, or pancakes -- to stop over-thinking it. But, aside from my family being fairly snobbish about what constitutes dinner around here (and pancakes don’t fit the bill), I have no desire to take the easy route and make familiar meatless things. I want to find more things like the Indian dishes. It’s just proving to be a little more time-consuming than I thought it would be. The research is part of the fun, but I can easily burn the better part of a day absorbed in websites and videos And before I know it....Oh no! it’s 5:15! Dinner is due on the table in less than 2 hours and I have no idea what I’m going to make! See? See how this happens to me? That’s another thing: I’m terrible with time. Horribly unrealistic about what I can get done in a set amount of time. On the other hand, you gotta admit it’s a great way to end this, no? Anyway, I’m looking forward to sharing more of our Meatless Mondays along with a little gardening and animal husbandry thrown in here and there as topics come up. Thanks for reading and leave a comment if you like. Let me know what you think. Yes I am always doing things in the last minute... it's just the way it goes! 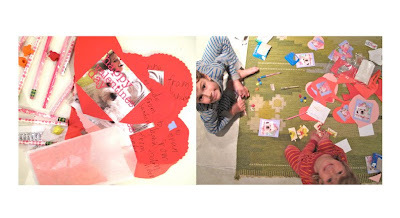 I thought about writing this email weeks ago and making cards... even templates for YOU so you could make them yourself. 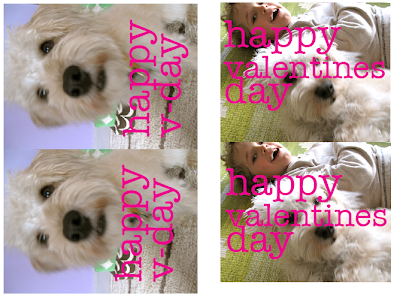 You will be glad to know that I got as far as making the cards, TONIGHT! My kids have their card exchange tomorrow! So in something a-kin to a late night cramming session we assembled all the tools and made our cards, the kids stayed up (happily I might add) until 9pm gluing, writing, stuffing and stickering but they are done! 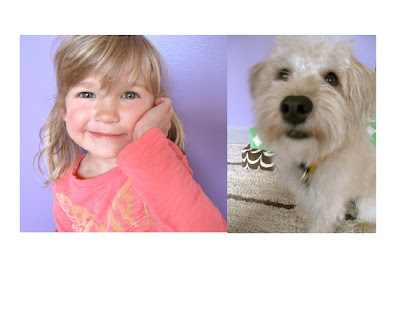 Step 1 - take a cute picture - or in our case we got a little silly and made sure the dog was involved in all of them! Step 4 - write your "to's" and "from's" and honestly we would have made some drawings if we had more time. Step 5 - this year my son wanted to give out pencils so we made little bags with the card, a pencil, and an eraser and then a heart sticker on the outside. Good luck on your cards and remember... anything hand made is good!! better if it's not perfect... and have some laughs while doing it! Next year I promise to make some kind of templates... just like martha stewart! ha! In the meantime, check out the ideas that Moomah has!! I love them all... 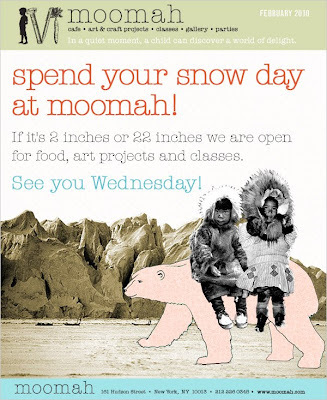 I introduced you to Moomah a few months ago (click here to see blog) but for Valentines day they have some really sweet and unique things to offer (and they are OPEN today!! ), I just wish I could jump in with my kids and make a few things with them! 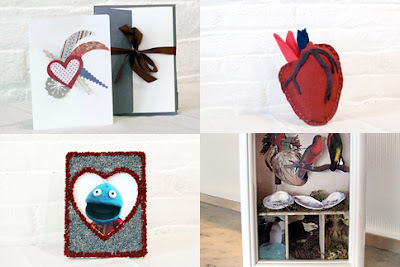 So just in case you are at home, sitting out the storm.. .here are some ideas from moomah for valentines day! (prices for the projects range from $12-$20) or you can make your own at home inspired by moomah! - just run outside and get some branches, rocks, leaves and whatever your kids can find and put together a shadow box or use felt to make hearts... lot's of ideas! 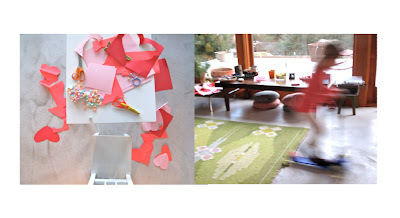 Some favorites from Nonchalant Mom include any gifts from the wonderful Atsuyo et Akiko! They practically live for Valentines day with all of their PINK sweet tiny and fun gifts and accessories so visit their page for lots of ideas (prices range from $16-$68)! I **love** to give these cute little necklaces (Atsuyo et Akiko) to friends and my kids friends, and they are perfect for teenagers.. they say either 'J'adore' or 'mon ami' on them, they look cute with an assortment of necklaces because they are on a soft suede strap (and can be adjusted to be a choker or long 32" necklace). Matta makes these corazon (heart) friendship necklaces which make great gifts for friends and loved ones alike! 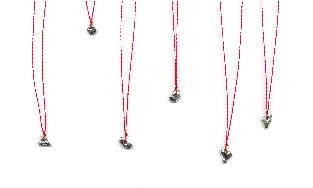 They are a simple tin 'corazon' on a bright pink string with a piece of bright pink yarn, simply great! ($12). From Makié we have these little TUTU necklaces! (or a pink dress... maybe??) So cute for that little ballet girl in all of us... these are for small heads, simply a piece of ribbon and little tutu and shiny little paillettes of moon and dots! ($10). One of the most unique gifts you can ask for is a one-of-a-kind necklace from Studio Deseo. Aleishall Girard Maxon created these special pieces just for Nonchalant Mom and I love each and every one of them-although there are only 4 left!! Don't miss them because I don't know when I will be able to get her to make more for us! You will feel your unique beauty each time you wear them! Whatever you do for VALENTINES DAY make sure it's fun, makes you smile and Laugh! It's about time! new SPRING collections coming soon!